Is there anything 3D printers can’t do? We’ve featured everything from 3D-printed arms to entire rooms made using 3D printers. 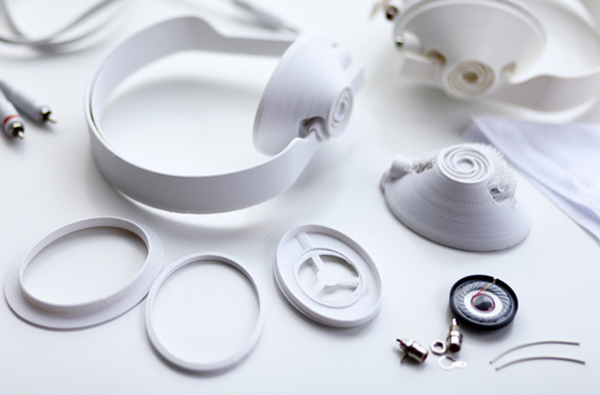 The latest 3D printed innovation comes from Teague Labs, who has created a series of CAD files that you can use to can create your very own headphones, which can be quickly assembled and used right off the printer! The parts for the headphones snap together and require no tools for assembly, and although the electrical components must be purchased separately they too can easily be snapped in place using the existing design. The current prototype can only be printed on a professional-quality machine with soluble supported printing, but Teague is currently working on a newer model that can be printed on consumer models. Teague wanted to explore the concept of making useful everyday products using a 3D printer. “What if printed prototypes could become actual products? Meaning, once off the print bed an object could be assembled without any tools and be made functional by readily attainable components. I decided to stress test the premise with the challenge of making electronically simple yet functionally complex headphones,” says Teague. 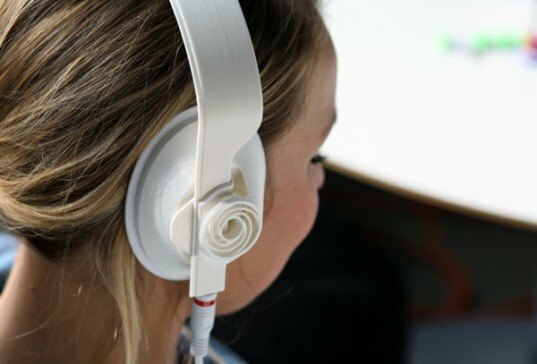 The headphones are called 13:30, named after the amount of time it took to print the original set, and the files to make your own set can be nabbed from Teague Labs at no cost.